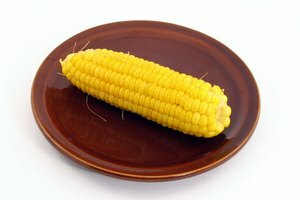 Freshly picked corn on the cob is not only delicious, but cooking sweet corn releases beneficial nutrients that can have tons of health benefits and loads of flavor. When shopping for ears of corn, look for green husks that fit snugly around the cobs. The husks should also appear fresh and not dried-out. 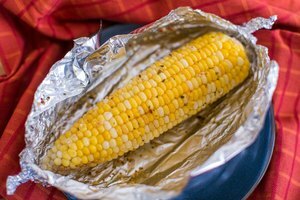 If you've purchased corn on the cob but don't plan on eating it immediately, learn how to store the ears with their husks on to preserve the freshness and taste. Remove any excess corn silk, brown husk leaves and other debris from the outside of the corn ears. Place the corn ears in large plastic food storage bags with zipper locks. Seal the bags tightly. Place the bags in the coldest area of your refrigerator. The refrigeration will slow down the process of the corn sugars turning into starch. Most traditional varieties of sweet corn will convert starch to sugar within two days after being stored in the refrigerator and begin to lose sweetness. 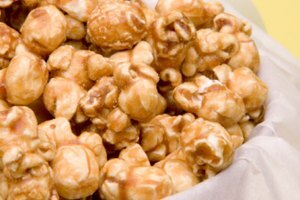 If your corn is a super-sweet or sugar-enhanced variety, it may still taste sweet after 10 days in the refrigerator. O Chef: How Long Can You Keep Corn Fresh?